Time is immeasurably important. Teatime, doubly so. 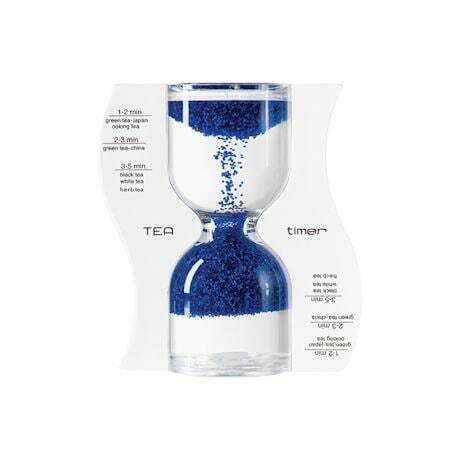 This mesmerizing reverse-hourglass ensures that you steep your tea to the perfect strength and flavor-- and actually enjoy the wait. 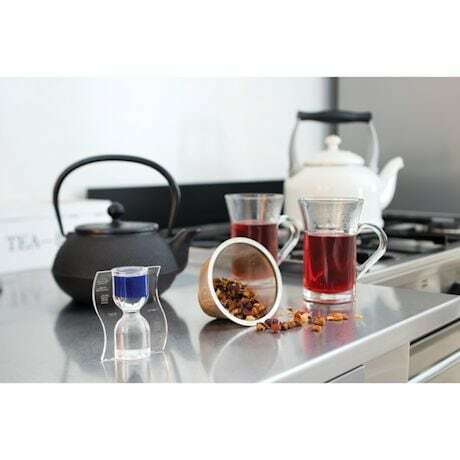 The brightly colored "sand" floats upward, with clear markings indicating how much time has passed and which teas are ready at the precise moment of perfection. Plastic. 2.75" H.